I liked Kat’s story the best and not only because it’s the culmination of the entire story, but also because I liked Kat the best of the three sisters. She’s gone into everything with the knowledge that she will be the one to die, yet she doesn’t shirk what she feels is her responsibility. Even though she doesn’t fully understand yet what her and her sisters’ parts are in the final battle, she doesn’t stand on the sidelines. She wants to learn, and with the myriad of other warriors showing up along with a couple of Valkyries, there’s plenty of knowledge to go around. Possibly the best ending ever to a trilogy!–Overall, this trilogy was freaking fabulous and I definitely have it on my reread list for 2015! Awesome YA Paranormal about Norse mythology. This was one of those cases where I devoured the books. I became obsessed and I read each of the first two books in a day respectively. I was so sucked into the world that I started Forsworn right after Forecast but actually stopped reading. To save the reading high. Some book series just click with me and this was one of those series. It’s hard for me to review the books separately because my brain puts them all together in one big awesome novel. 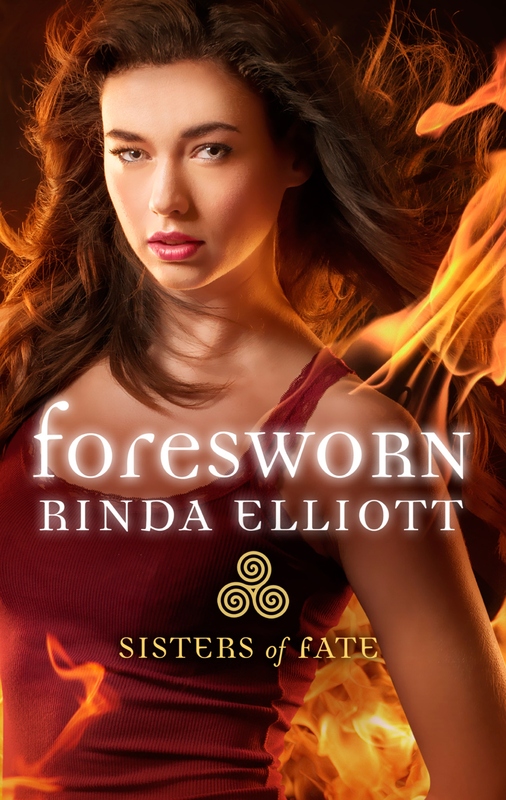 FORESWORN is suspenseful. Its fast pace makes it easily readable in one sitting. Its promise of romance, of deadly battles, of heartbreaking loss make it unputdownable. Its new characters, with new abilities and new challenges, make for a wildly entertaining read. It’s intense. It’s enthralling. It puts you on an emotional roller coaster. It keeps you glued to the page until the very end. It is a must, must, must read installment in this absolutely amazing and unforgettable series that should only be devoured after the first two books.